No it is not possible, because codeblocks uses wxWidgets. wxWidgets uses as many default controls as possible and also the default colors. 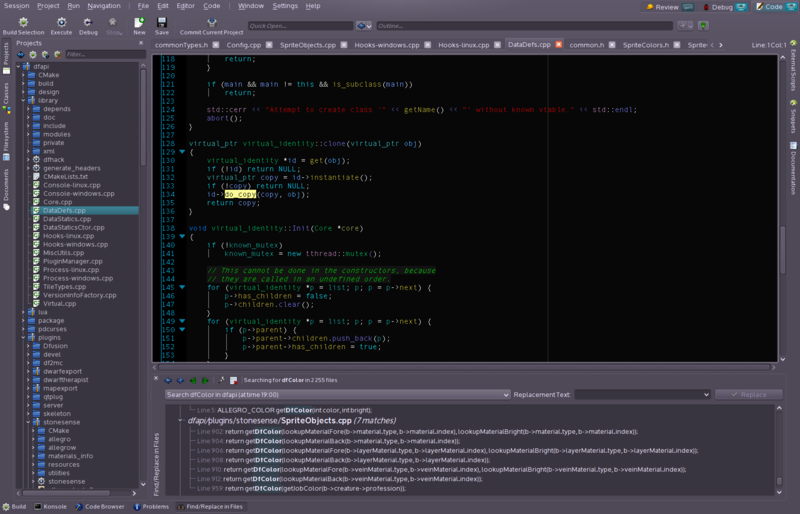 So if you change the windows theme also the controls in codeblocks will have the same color. No it is not possible, because codeblocks uses wxWidgets. wxWidgets uses as many default controls as possible and also the default colors. This is only true for windows/osx. On linux the gtk theme could be changed even per application. I'm using Linux. So I guess I could with some luck accomplish that. ¿How could I? By the way I already changed the Application Color Scheme in Colors-System Settings (openSUSE), and that's why KDevelop changed its theme. But Code::Blocks does not implement that change. You've changed the qt theme, now change the gtk+ theme and it will work. There are some gtk themes that use the qt drawing, so you could make it work consistently. But I don't know details. Search the net. Thanks a lot. After some hours of trying I finally managed to get to the right settings.